Bryce Boyer was a brilliant and intuitive clinician, a dedicated psychoanalyst, and a cantankerous and much beloved teacher. He spent most of his professional life working analytically with seriously disturbed patients, imposing very few changes in the analytic frame while so doing. Although thoroughly trained in ego psychology, Dr Boyer developed a different theoretical orientation as he worked with patients struggling at the level of narcissistic neurosis. He was among the pioneers who relied on countertransference information to understand the early, perhaps even somatic, communications of his patients. Working at the pre-oedipal level in those early days also involved some difficulty with the psychoanalytic establishment who, at that time, thought that the analyst should respond only to verbal communications and that those verbal communications and interpretations should be at the oedipal level. In his later years, he appreciated the validation that came with the influx of psychoanalysts who were eager to learn about using countertransference information. Dr. Boyer wrote and taught extensively in the area of working psychoanalytically with the regressed patient. He also wrote about, and was deeply interested in, the Rorschach test especially in relation to other cultures. For many years he studied the Mescalero Apache Indians, along with his wife Ruth, who was an anthropologist. A Rorschach Handbook for the Affective Scoring System, 3 editions, and numerous articles. Many of his books and articles have been translated into such languages as German, Italian, Spanish, Portuguese, Norwegian, and Finnish. In terms of his personal biography, Dr. Boyer was always quite frank and revealing about his early life. Dr. Boyer’s mother was severely disturbed and paranoid. Dr. Boyer has often attributed his capacity to understand and interpret regressed patients at a visceral level to the necessity of understanding and interpreting his mother. He has also attributed to his mother the development of the belief that the acting out behavior of seriously disturbed patients is not merely resistive, but is also an effort to communicate and recall experiences for which these patients do not as yet have words. Because his mother could respond to his interpretations, and they would calm her, his conviction grew that narcissistic disorders could be treated by psychoanalysis.Dr. Boyer encountered several significant colleagues as he trod what must have been a lonely path in those early days of treating severely disturbed patients psychoanalytically. He struck up a friendship and a productive collaboration with Peter Giovacchini, M.D., starting in 1967. Dr. Giovacchini once wrote to Dr. Boyer that “We grew up together” (personal communication to LBB) as they wrote and edited their way collaboratively through many volumes of psychoanalytic articles. Another colleague who was very important to Dr. Boyer was Tom Ogden, M.D. They first met in the context of a psychiatric teaching hospital, and went on to form the Center for the Advanced Study of the Psychoses. The Center, along with other endeavors, included a study group where psychoanalysts and psychotherapists presented difficult cases involving difficult patients. Dr. Boyer sat at one end of the table and Dr. Ogden at the other. The understanding of the patients presented unfolded in the discussion around the table and in the back and forth between Drs. Boyer and Ogden. The participants also read and discussed the writings of Bion, Winnicott, Klein among others. This was a rich environment for learning what was previously thought to be unteachable. Another major topic of conversation at that table was the absolute interdependence of transference and countertransference. Many a case presentation found resolution when the understanding developed of the mutual introjections by the analyst and the analysand of each other’s unconscious or preconscious projective identifications, a major teaching of Dr. Boyer. In 1982, a grateful former patient of Dr. Boyer donated a sum of money in Dr. Boyer’s name to establish a treatment center. The Boyer House Foundation took shape. This treatment center continues to this day, with well-trained staff working psychoanalytically in a residential, long-term, open, therapeutic community. The staff works diligently to understand the patients through the countertransference, sometimes coming together in the weekly case conference like slices of a pie becoming whole again, as each therapist brings forward his/her countertransference based understanding of the patient in question. As the staff each represents an individually apprehended fragment of the patient, the patient comes together representationally, taking on a fuller, more complete understanding in the therapeutic community and the work becomes stronger. We were taught well by Dr. Boyer and his work lives on. We are grateful. (1979). Countertransference with severely regressed patients. 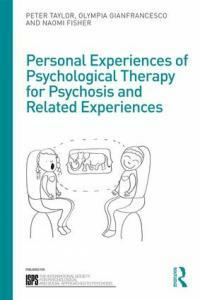 In Countransference: The Therapist's Contribution to the Therapeutic Situation, ed. L. Epstein and A.H. Feiner, pp. 347-374. New York: Jason Aronson. (1980). Psychoanalytic Treatment of Schizophrenic and Characterological Disorders, ed. L.B. Boyer and P.L. Giovacchini, 2nd edition, revised and enlarged. New York: Jason Aronson. (1983) The Regressed Patient. New York: Jason Aronson. (1985) Christmas "neurosis" reconsidered. In Depressive States and Their Treatment, ed. V. Volkan, pp. 297-316. Northvale, NJ: Jason Aronson. (1990) Master Clinicians on Treating the Regressed Patient, Vol. I, ed. L.B. Boyer and P.L. Giovacchini. Northvale, NJ: Jason Aronson. (1993) Master Clinicians on Treating the Regressed Patient, Vol. II, ed. L.B. Boyer and P.L. Giovacchini. Northvale, NJ: Jason Aronson. (1999) Countertransference and Regression. Northvale, NJ: Jason Aronson. Boyer, L.B.